Inspired by lenticular technology, the Clair collection features a three dimensional front panel with faces stained in two tones. When viewed from the right side, the cabinets appear to be completely black; yet when viewed from the left, they seem to be brown. Each piece in the collection is lovingly handmade to order by a single craftsman. 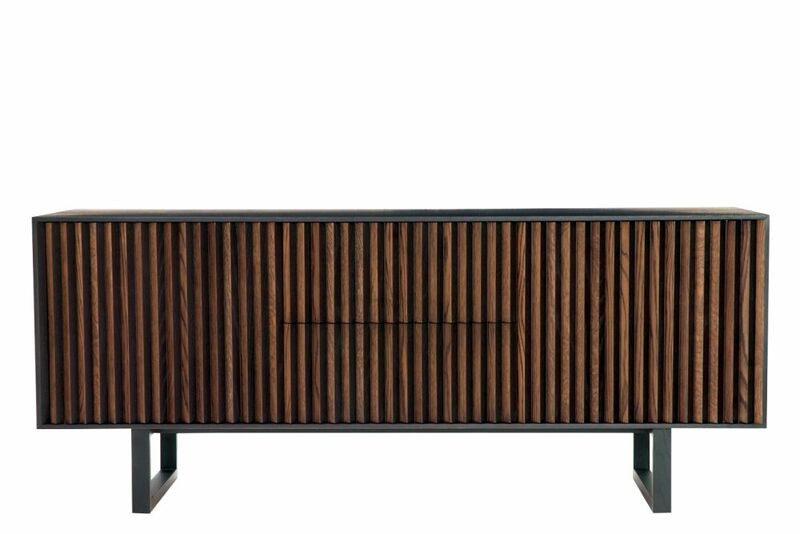 The 3 box sideboard features two doors and two drawers on concealed drawer runners that open on push catches.